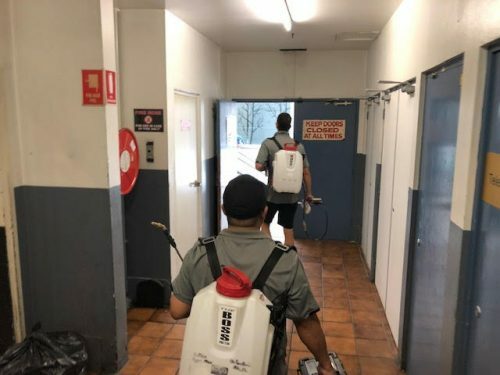 Pest Control Service "Were we are in business to protect your business"
Having issues with Cockroaches in a commercial premise, then you’ll require an immediate treatment by The Pest Company and ongoing treatments as Cockroaches breed rapidly. 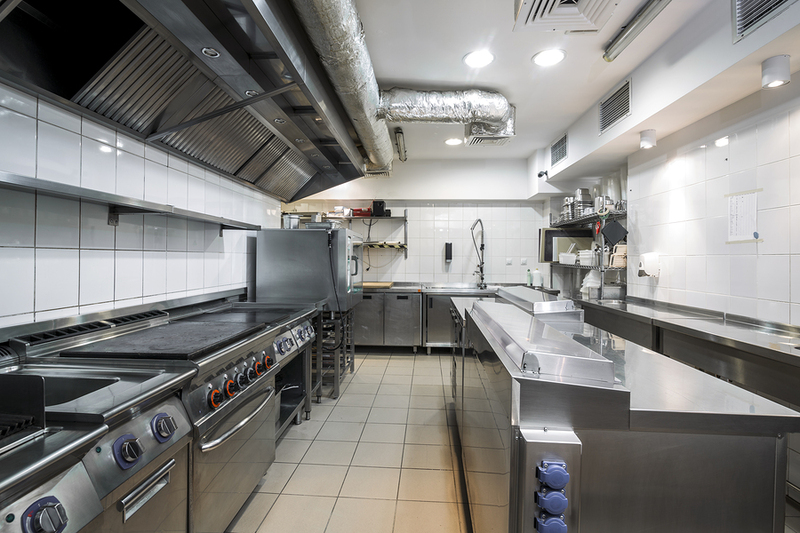 We manage Restaurants, Bars, Cafes, Schools, School canteens, Shops, Kitchens, Food Preparation premises from pests. 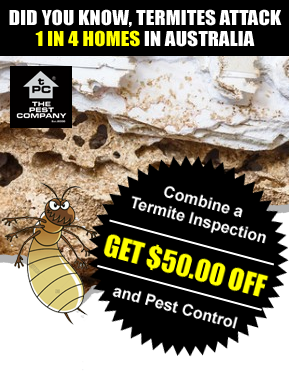 Cockroaches seem to be the worst pest in Commercial environment as we are dealing with many types, like German Cockroaches, American and Australian Cockroaches. Most commercial operations require ongoing monthly services to keep the premises managed from pests. A Businesses reputation is critical to it's success, so we cannot afford to have cockroaches in food preparation areas or in the property. A great way to eliminate your worry is contacting us today 1300 552234. Did you know? It is not just the premises current condition and construction design that allows pests the opportunity to enter, be mindful of all stock deliveries because cockroaches may also be delivered to your door by a supplier which can lead to a very fast breeding cycle in your premises. A Pest Control Service involves a range Pest Management services that must be carried out by licensed and professional technicians to ensure an effective treatment. Integrated Pest Management (IPM) involves ensuring the premises are clean and well managed by educated occupiers that are experienced in safe food handling techniques, who understand the appropriate food storage requirements because it will assist in helping to protect food from pests and contamination. 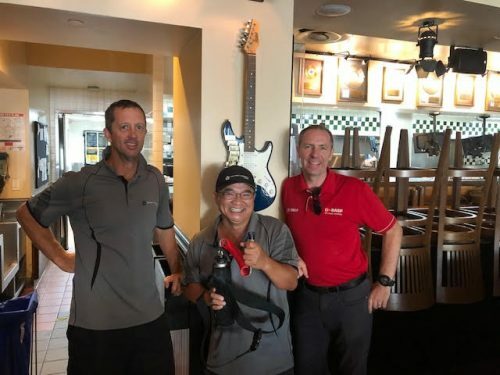 A team effort is the key, where the property owner/occupier and the Pest Management technician work closely together will ensure a well management property is free of pests as a one off treatment is not the solution. Applying ongoing Pesticides at the property may not be the ideal solution because there are other options of non chemical methods that may assist in the process. Most properties are managed by a combination of Pesticides and effective hygiene. Did you know Cockroaches contaminate food and eating utensils, transmit disease causing bacteria, that can cause food poisoning, and are responsible for allergy and asthma problems. Not all cockroach problems are the same - Some residential and commercial properties have multiple cracks & crevices where Cockroaches love to hide, caulking up these areas can help limit hiding spots, however ensure a treatment is carried out by us first to avoid locking pests we cannot get into later. Research indicates a percentage of our population is allergic to cockroaches. 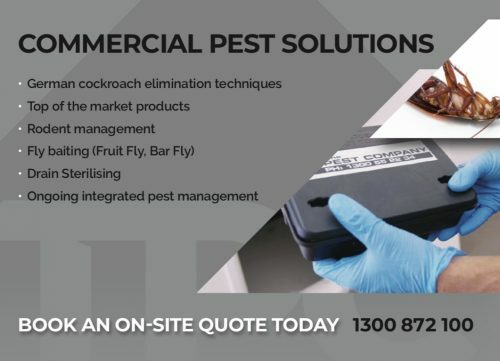 Pest Management is ongoing, it is unfortunate that we cannot fully control all insects in the environment due to many factors which is why an integrated approach is necessary. Lockable Rodent Stations and other non chemical options are available: A Great Safe way in Rodent Control. Book in your Pest Control for Commercial today.